In 2018, after nearly 18 years of renting, Greenfield Games made a permanent commitment to downtown Greenfield with the purchase of our new storefront. At that time created a program for committed customers to help us to improve the new store - and many of you did! 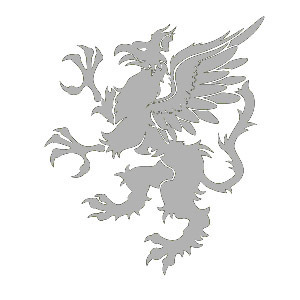 Below you will find a list of our Gold and Silver Griffons - customers who went above and beyond in their support. We tremendously appreciate our community, and we’ll certainly celebrate your generosity and support. Lastly, we've included a list of what we have done and what we are doing with your generous contributions. So what have we done with your contributions? Glad you asked! If you had come into the new store during the first days of the re-opening then you probably got to experience the store without working air conditioning. Well, one of the first (and possibly most important) things we did was to repair the heating and air conditioning system. It turned out that It was never really set up properly to begin with when it was originally installed and so we needed to do a bit of remodeling in addition to just fixing the system. Now we have a working system that keeps us cool in the summer and warm in the winter - just as it should be. Next up, we replaced the lighting. In addition to being much brighter than the original lights (remember how cave-like FYE was? ), they are also super-energy-efficient LED lights. We also got a light-sensing system for the sign out front which turns on and off with the sun. You'll also be pleased to hear that we were able to refinish both of the bathrooms. That's right, we now have TWO spruced-up bathrooms both with brand-new toilets. We repaired the hot water heater so that those newly remodeled bathrooms aren't limited to cold water. You've probably already noticed that the wall above the shelving got a fresh coat of paint. We also commissioned two gaming table toppers that turn our 6' card tables into 4x8' RPG, Board Game or Mini Gaming tables. They rock! We also upgraded our RPG shelving and our demo display (from Modern Myths which we were very sad to see close down). Seth installed some great LED lights in the RPG shelves as well. A new sandwich board sign to replace our rather... well used one. 50 solid, comfortable restaurant style chairs . New credit card terminals with chip readers . Thank you all for helping us make these projects possible!